Feng shui is all about handling energy, or, as ancient Chinese philosophers would say, handling c_h'i,_ because ch'i is the Chinese term for energy. The art of feng shui was practiced at least as far back as 960 B.C.E., which predates the Tao Te Ching, the earliest Taoist document, by several centuries. Feng shui is a philosophy, an art and a practical strategy to manage the flow of ch'i in the living space to maximize harmony and balance. 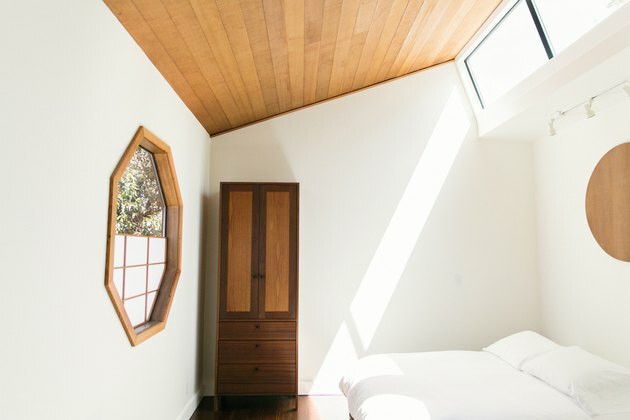 Like yoga and tai ch'i, feng shui was once regarded as a mere oddity in the Western world, but it has slowly and surely made its way into the mainstream. Home design consultants increasingly rely on its simple, accessible principles. You can apply feng shui to homes, offices and other places of work. In the home, you can apply them to each room separately, as well as to the dwelling as a whole, both inside and outside. The principles are simple and use placement of objects, architectural design and a number of tools to increase the flow of positive ch'i (yun) and minimize negative ch'i (sha). 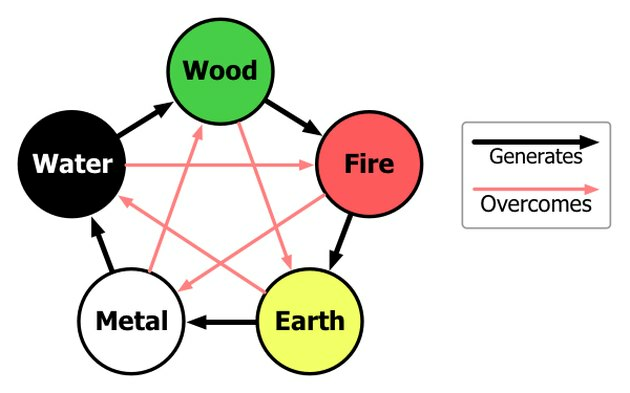 Each of the five elements should be present or at least represented in your home. Earth: brown, yellow, pink; square and rectangular; stable, centered and nurturing. The productive and destructive cycles can be used to restore balance by enhancing an element that is underrepresented or minimizing one that is preponderant. For example, a room with pine paneling and oak floors probably has too much wood. A metal sculpture would be a good mitigating addition, because in the destructive cycle, metal cuts wood. As an example of using the constructive cycle, fire feeds earth, so a fireplace is a great addition to an adobe living room. In Feng Shui, each of the eight directions has a specific energy. A compass is an essential tool for applying feng shui principles to your home. A feng shui compass depicts the eight directions as eight trigrams arranged in a circular arrangement known as the bagua ( the word literally translates as "eight directions"). Each direction has a color associated with it as well as an area of life experience and an element or nature. The center of the bagua, symbolizing health, is represented by the element earth, the color yellow. 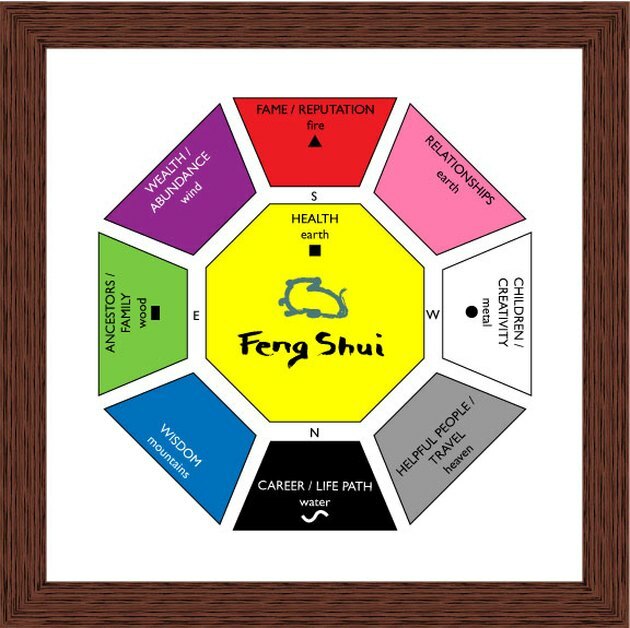 In a detailed feng shui consultation, the bagua is placed at the center of the home and aligned with the true compass directions. This helps establish an appropriate design motif in each area of the house. It isn't the only consideration in a consultation, but it's an important one. Th interplay of positive and negative ch'i, symbolized by the yin-yang diagram, is central to feng shui and Taoism in general. Energy is always moving and changing, and the goal of feng shui in the home is to design rooms and place furnishings to encourage flow in a harmonious, favorable direction. In popular feng shui, this concept is often expressed in terms of creating good fortune or luck. Far from being esoteric, this idea is just common sense. When your living space is harmonious and nurturing, you feel better, and you're able to attract good things into your life. You make a favorable impression on the people you meet, and anyone who comes to visit you in your house is similarly affected. The structural design of your house affects the flow of ch'i, and when you can't do anything to alter the structure, you can use tools or to assist. Mirrors are among the most common of these "cures." You can use them to create space in small rooms, to brighten up dark spaces and to draw attention away from negative features and toward positive ones. Direction is as important outdoors as it is indoors, particularly in regard to important exterior features, such as the front door. The front door should harmonize with the surroundings and the direction it faces. However, the back of the house determines the direction the entire house faces, so the house should be a color that harmonizes with that direction. Direction also contributes to the decision regarding which side of the house is best for a vegetable garden, a water feature like a pond or a rock garden. Landscaping, walkways and surrounding vegetation all have an impact on the flow of ch'i, and how you manage it affects your own feelings about your home and, by extension, yourself. It also affects your reputation, the way people feel about your home, and whether or not they want to visit. If you like having visitors, use feng shui to welcome ch'i. Create a large walkway that goes straight to the front door. Plant bright flowers and use a windmill to attract attention. If you prefer privacy, divert ch'i by planting dense foliage and constructing a meandering, narrow walkway. Although it has clear governing principles, feng shui is more an art than it is a science. Many things inside and outside the house can't be changed, and you have to work around them. For example, you have to strike a balance between achieving the ideal directional color combination for the outside of your house and blending with the neighborhood. Indoors, you may have to introduce elements into part of the house for which they are unsuited to compensate for a feature you can't remove, such as a fireplace. In all things feng shui, the key is balance.